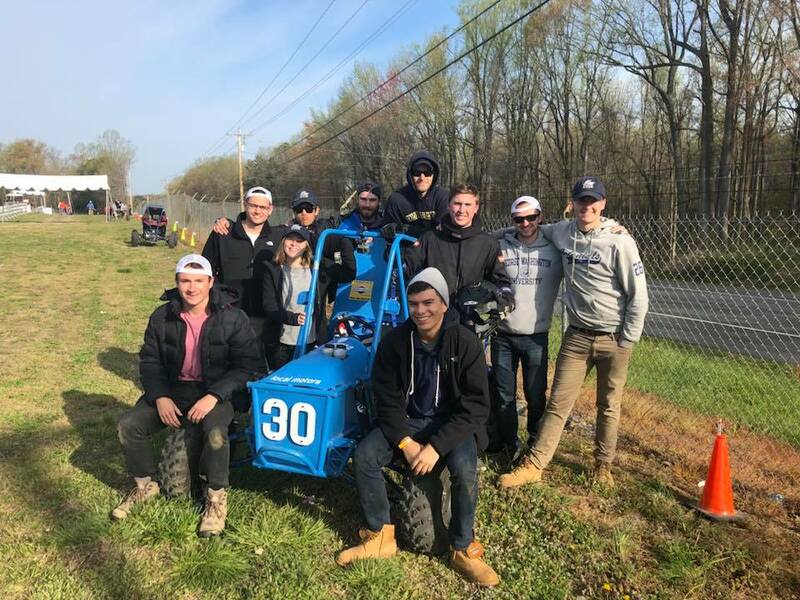 MAE congratulates the members of the GW Mini-Baja Team: Ali Ahmed, Maria Ahmed, Coleman DeAnda, Andrew Edzenga, Delon Etzel, Conor Gillespie, Ari Haven, Nicholas Lechner, James Loughlin, Aaron Patron, Austin Sabbagha, Joseph Signorelli, Peter Walsh, George (Maoxi) Wang, and Jason (Feng) Xiang. 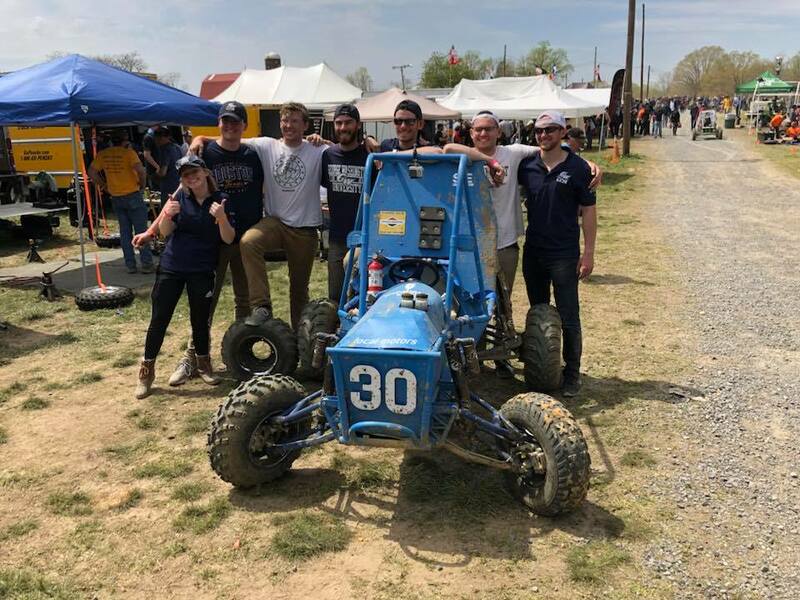 The GW team competed against 94 other teams in this year’s Baja SAE Maryland competition and ranked 26th in the suspension test. 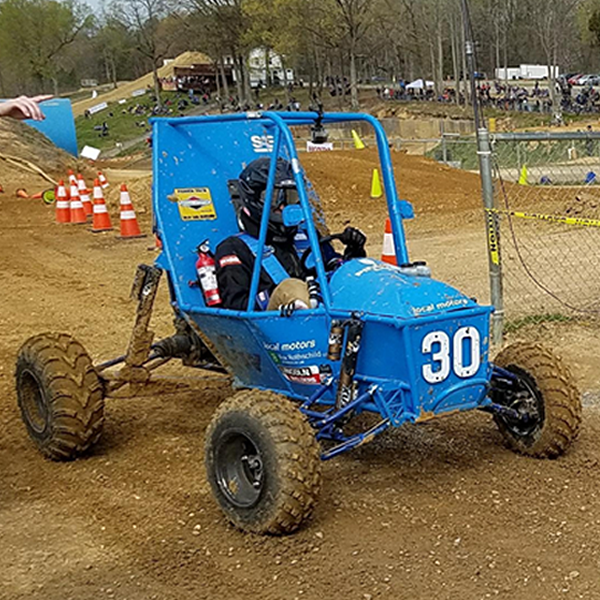 The competition was held April 19-22 in Mechanicsville, MD and over the course of the four days, the team participated in nine events. Dr. Murray Snyder is the team’s faculty advisor. 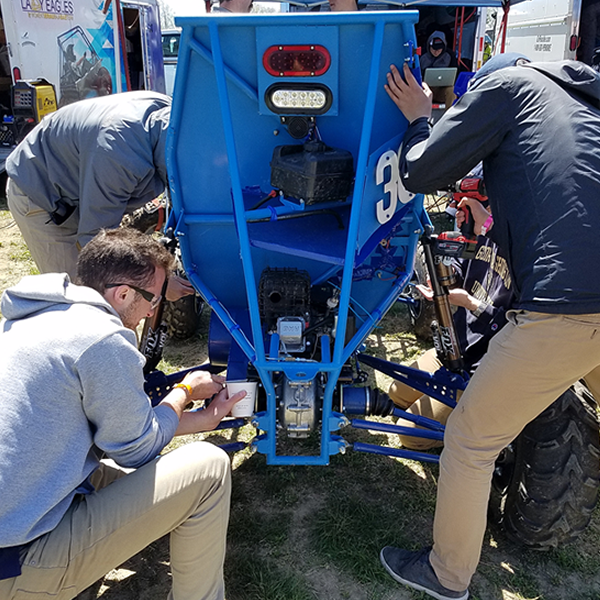 The Baja SAE consists of competitions that simulate real-world engineering design projects and their related challenges. 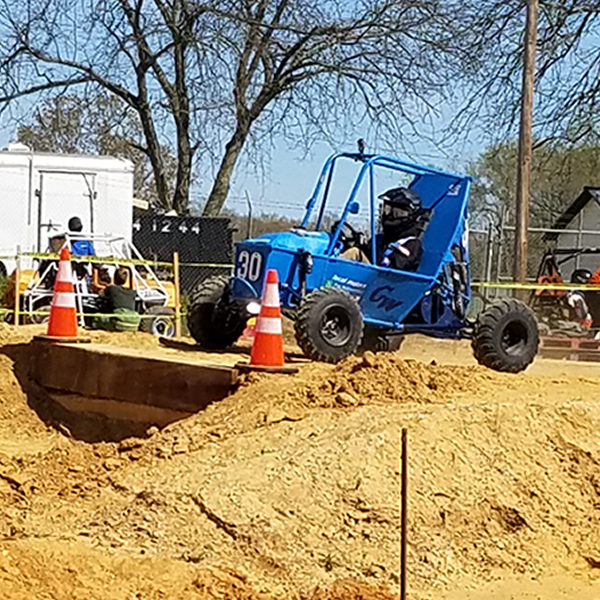 Engineering students are tasked to design and build an off-road vehicle that will survive the severe punishment of rough terrain. 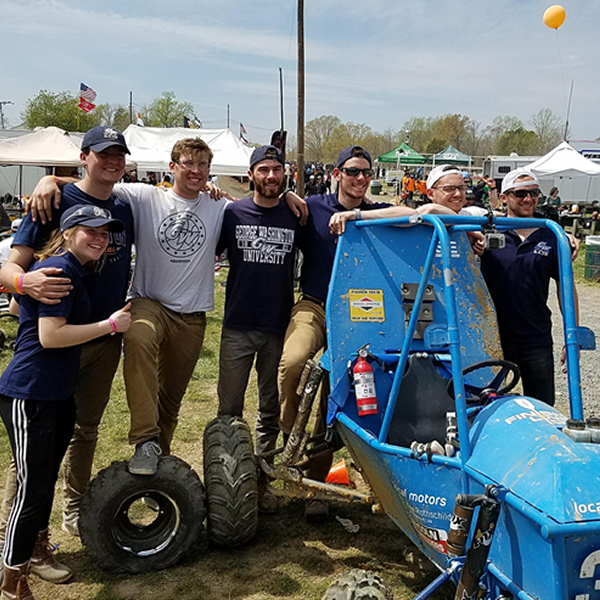 Each team's goal is to design and build a single-seat, all-terrain, sporting vehicle whose structure contains the driver. 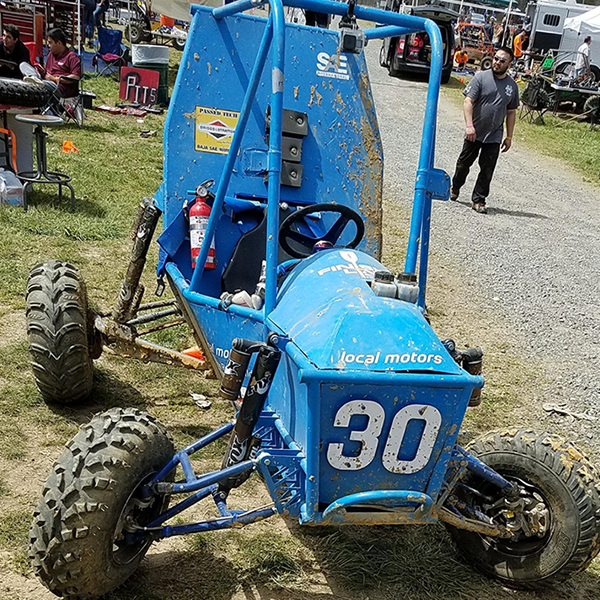 The vehicle is to be a prototype for a reliable, maintainable, ergonomic, and economic production vehicle which serves a recreational user market. 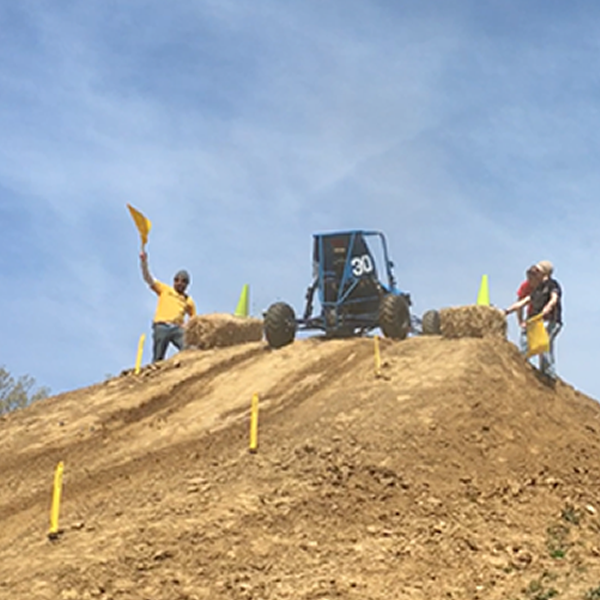 For more information about GW’s Baja team visit their Facebook group page.